A new application era is changing healthcare. Doctors, nurses and administrators are increasingly using mobile devices, artificial intelligence tools and telehealth solutions to better serve patients and improve organizational efficiency. These new tools and apps not only demand the highest security and performance, but the volume of data they generate put greater demands on data centers. Today’s data centers are no longer a fixed place – they need to extend everywhere data is. Healthcare organizations such as Grifols, University of Utah, the Hospitaller Order of Saint John of God, and Sharp Healthcare have adopted Cisco’s intent-based data center solution, Cisco Application Centric Infrastructure (ACI). Cisco ACI provides unified control of both physical and virtual environments, enhanced security, and policy-based automation that extends to the cloud. Cisco Tetration provides workload security with a zero-trust model for both on-premise and public cloud workloads. Grifols, a global healthcare company, works in the fields of transfusion, blood banking, protein therapeutics, and laboratory analysis, with product distribution in 90 countries to hospitals, pharmacies, and healthcare professionals. The Grifols IT team decided that maintaining their existing systems and bringing new services online took too long. They wanted to be faster, more agile, more scalable and increase security. Grifols chose Cisco ACI as the networking foundation for its new data center in Sant Cugat, Spain, and the unifying network architecture to connect all four of its data centers so that they could standardize on network configuration, policy, and security. 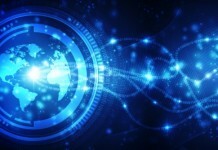 The university also deployed the Cisco Tetration platform to gain visibility of application connectivity, dependencies, and data flows across their hybrid IT environment. “Epic is the application that supports all our health records and medical operations, and it’s so big and complex that it’s difficult to keep track of all the pieces, how each of them function, and what else can be affected if one of the pieces goes down,” said Livingston. “Before deploying Tetration we simply didn’t have that type of insight before,” With a better understanding of application behavior and dependencies, the university can create detailed policies and templates in Cisco ACI that ensure each application is protected and supported. The University is also deploying Cisco ACI Multi-Site capability to link its primary data center in Salt Lake City with its disaster recovery site in St. George, Utah, to improve redundancy and availability. For an application like Epic, disaster recovery failover can be reduced by several hours using ACI Multi-Site. The Hospitaller Order of Saint John of God operates hospitals, retirement homes and facilities for people with special needs, worldwide. In Austria, data center performance was impacted due to several firewalls that regulated traffic and slowed performance. The IT team adopted Cisco ACI to improve both performance and security. Located in San Diego, California, Sharp HealthCare is a not-for-profit, integrated regional healthcare delivery system with four acute care hospitals, three specialty hospitals, three affiliated medical groups, and numerous outpatient facilities and programs. The Sharp IT team wanted to modernize IT operations while maintaining support for legacy applications. “Instead of rebuilding our data center or attempting to force-fit our legacy applications in the cloud, we decided to put everything in a colocation facility and manage it remotely with a software-defined network,” said Kevin Rothstein, network engineer at Sharp HealthCare. The new infrastructure has dramatically increased security while reducing the time and effort of systems maintenance. Now, Sharp IT remotely manages everything centrally with policies and endpoint groups.